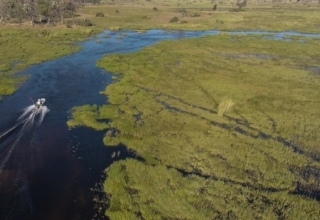 For those who go on an African safari to experience wildlife up close, there is no better place to do that than at Moremi Crossing. The wildlife in the area can be seen and heard roaming around the camp frequently. 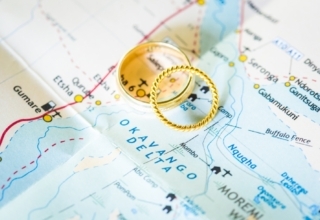 “We had three excellent days at Moremi. 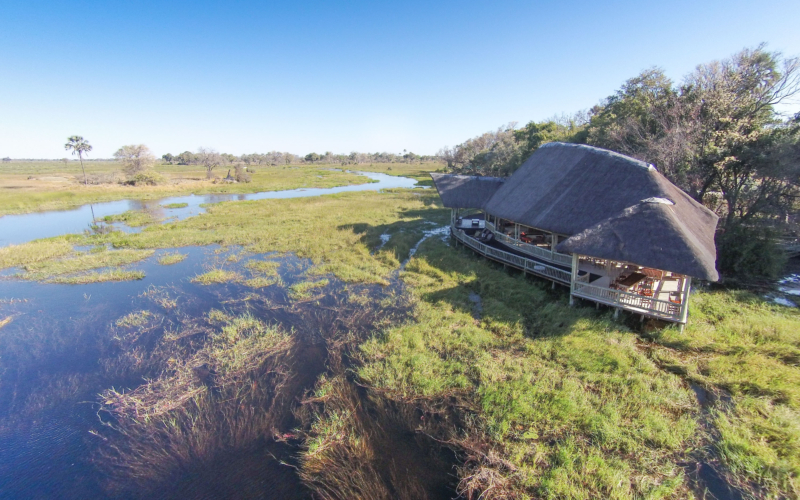 The animals are up close and personal with Hippos grazing under our room at night and Elephant wandering through the camp.” A recent Moremi visitor shared this experience on a recent TripAdvisor review. 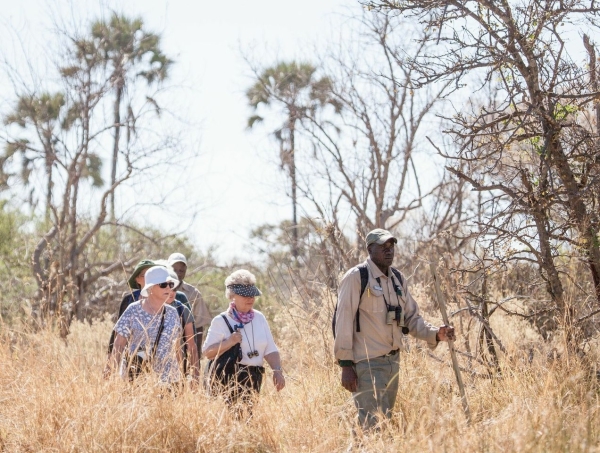 Walking and boat safaris are a great combination and unique ways to view the abundance of wildlife inhabiting the Okavango Delta. 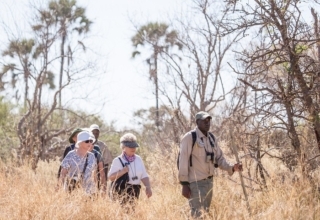 Walking amidst wild animals without the boundaries of a game vehicle makes you realise that you really are in the heart of Africa. 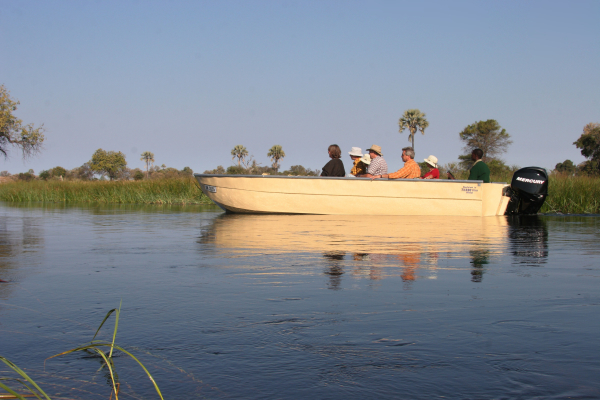 Hop on one of Moremi’s mokoros and explore the vast waterways and the life in the river too. Your game viewing experience is not over when you return to the camp. 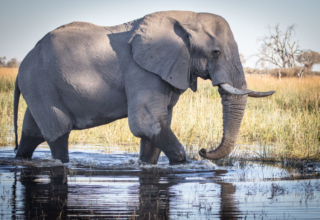 Moremi Crossing has its very own resident elephant that love to put on a show for the camp’s visitors. 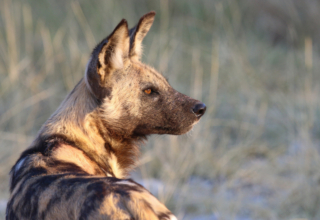 “We spent an hour on our balcony with the lights off, just standing and watching him – he was literally within touching distance.” another Moremi guest exclaimed. 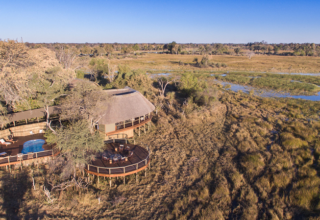 Indeed, staying at Moremi feels like camping in luxury in an elephant kingdom.